He gets his chance when the son of a fellow merchant who has joined the navy returns to Progrody to visit his family. Piczenik questions him at length and eventually decides to accompany him back to his ship in Odessa. 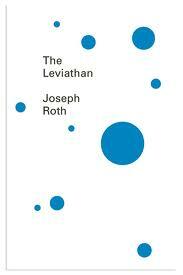 As with many of his short stories, Roth perfectly captures the feel of village life. The illiterate Piczenik, with his routines and superstitions, is entirely believable, as is his inarticulate longing for something more. The leviathan comes to represent that unknown, fuelled by Piczenik’s narrow and naïve view of the world, but also suggesting the unquenchable human desire to look beyond our limited lives. In this way, Piczenik becomes Roth’s most unlikely hero. You are currently browsing the archives for the Joseph Roth category.